I speak both languages, Russian and English, and cherish each country, however it pains me to see my country of birth often vilified. 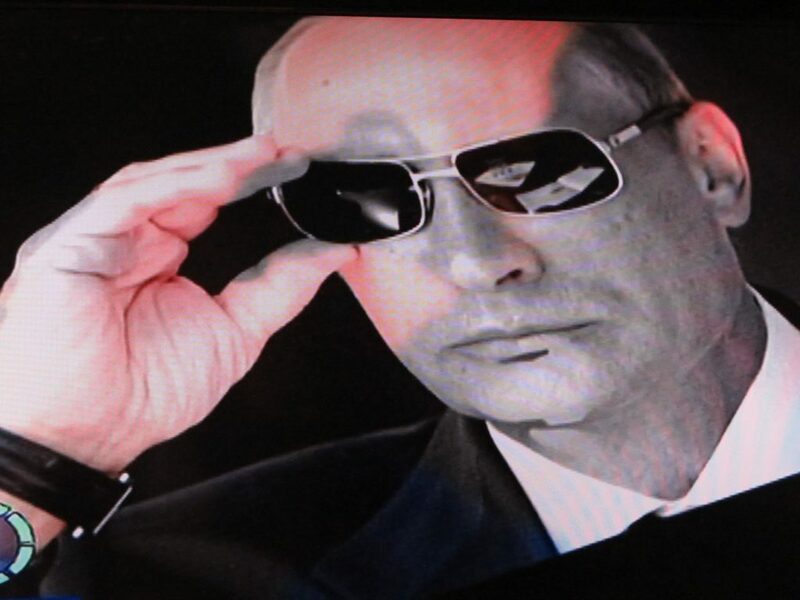 Is President Putin an angel? Of course not. To be honest, one of the best insights I got into the political life of President Putin & his immediate circle, as well as the historical overview of Putin as President, was from a book written by a Russian journalist Mikhail Zygar, former editor-in-chief of the independent TV channel Dozhd. It was published late last year and is called ‘Putin’s U-turn’ (Вся Королевская Рать). Unlike the above mentioned documentary, it makes for compelling reading and is based on facts and research, not insinuations or dramatic sound or visual effects. As to corruption, yes, Russia, sadly, is a corrupt country, which makes lives of many Russians and their businesses at times unbearably complicated. However, let’s be honest – corruption, in some shape or form, exists in most countries on the map of the world. I wasn’t aware that President Bush or Clinton or Prime Minister Blair left office ‘poor’. If anything, each one of them has made a tremendous amount of money since leaving the office and many question the way they continue to make money. Is Panorama planning to make a documentary on this subject? Politics is a dubious business, many politicians don’t like each other and don’t necessarily work to ‘better’ the lives of the people who elected them into power in the first place. Most politicians don’t go into politics with altruism as their guiding compass. What I fail to understand is why see bad in other people, while failing to see your own shortcomings? Why do some journalists continue to over-dramatise the facts or intentionally create biased reports that will cloud the judgement of viewers from the beginning. Shouldn’t the rules be the same for everyone? I recently read an interview with Cate Blanchett‘s in Bazaar UK, where she talked about her new movie ‘Truth’ with Robert Redford. In it she plays the 60 Minutes producer Mary Mapes, ‘who aired negative allegations-subsequently found to be less than watertight – about George W Bush before the 2004 elections’. The film itself focusses on the ‘erosion of the ground television news once occupied, the demise of investigative journalism’. Even though the interview came out in the February edition of the magazine, which was on the stands in January, I read it as I was writing this piece and was mulling over this exact subject, so what Cate Blanchett was saying, actually fell on fertile ground of my mind. Let me finish with her quote from the interview that really sums up the subject of this blog so well: ‘Truth is subjective but facts are not’. Objectivity is long dead in reporting. It’s now a ratings game. At election time, when media outlets come out with support for one party or another it is more obvious than usual as at least there is a pretence the rest of the time. Sadly as West African, there are generally ONLY negative portrayals in the media, which of course, does not reflect the reality. Facts can be complicated too…….Switzerland is always seen as a low corruption state but most of the world’s corrupt bank there…..